Indra Nooyi always wears proper business suits in every occasion. She does not like to wear too much accessories to beautify herself. In her public speeches, Indra Nooyi always stands her back straight confidently and have conversation with her audiences. She loves to give some examples from her own experiences, and humorously open her own jokes. She graduated from the business management master program of Yale. During her school life, she had passion for cricket sport, and she also was the captain in the school’s team. When she mentions her experiences as a captain, she says: During these experiences, it did help me to learn and understand more about leadership, teamwork even how to make strategies to make our team wins games. In 1994, she started to work in PepsiCo, due to her passion on her works and willing to devote her efforts to the company to prove that she has capabilities for being a company leader. She got promoted to the CEO position of PepsiCo company in 2006. 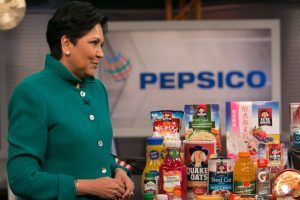 Simultaneously, she was the first female CEO in PepsiCo’s history. Since the day when she had become a CEO, Indra Nooyi started to face the expectation from the market and investors. She said: it was not easy at the beginning, because I was born and raised in India, most people doubted that can I truly understand how American consumers behavior. Therefore, she always visits the market and talks with customers personally. She also joins many international design exhibitions to find some new inspirations. Indra Nooyi said: I always tell to my young friends, always try to think more from why? What? How? And improve things step by step. You have to learn how to read widely, walk the market, look at trends in the market place, make connections that do not seem obvious. Then draw your strategies bravely. After many experiences for being a CEO, Indra Nooyi had learned one important thing. She says: There is nothing than can be changed very fast. A product is not just a product, it must represent some new experiences for customers and new demanding from market. For example, PepsiCo used to pack products with full sugar, then we changed into half sugar. However recently, our society is more focus on health awareness. So, we improve our last new product with zero sugar. Design is one of great importance for a product, but more than that products need to combine with some attractive stories, and then we can reach our final goal and that is arouse the resonance among the customers. You might be curious about how does a successful business woman balances her personal life and work? 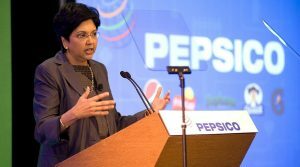 Indra Nooyi remembers the time when she came home, very excited to tell her mom about being promoted to be the CEO of PepsiCo! She was looking forward to hear her mom praise her and say congratulations! 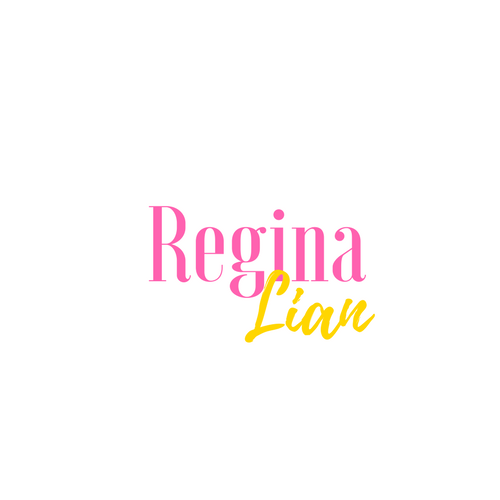 However, her mom was very calm and looked at her and said: I do not care what is your positioning outside of this house, but when you are home, you will always be my daughter, and you will still go to wash dishes, and do house works for our family. Indra Nooy sums up: Woman cannot have everything for forever, but you should learn how to balance your private time and work, not make living but a life, be brave and create your dreams. Indra Nooyi, who is full of vision, very competitive, tough-minded and dedicated to make things happen. These are the reasons why she became a successful business woman. How about you? Are you ready to draw your first picture of your career and take the first step? Let’s meet again and next time you tell me about your story. To be a CEO is a calling. You should not do it because it is a job. It is a calling, and you have got to be involved in it with your head, heart and hands. Your heart had got to be in the job; you got to love what you do; it consumes you. And if you are not willing to get into the CEO job that way, there is no point getting into it.